Laid down, 8 May 1944, at New Jersey Shipbuilding Co., Barber, N.J.
58k USS LCI(FF)-627 with CDR. 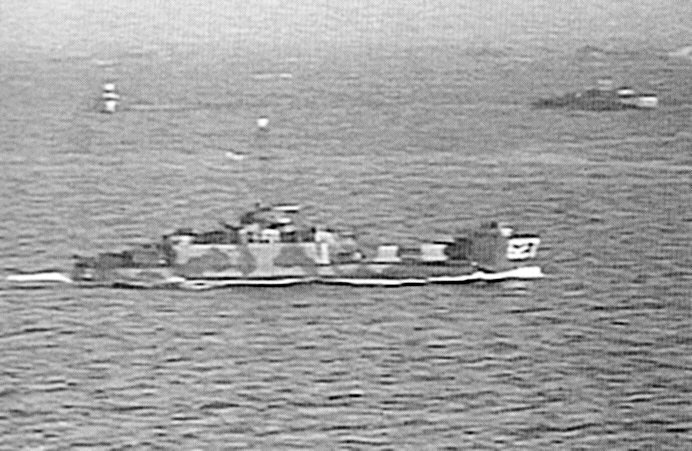 Malanaphy aboard, rushes to the aid of the badly damaged USS LCI(G)-473 which was dead in the water and needed to be towed away from the beach at Iwo Jima, 17 February 1945. 49k From right to left; USS LCI(FF)-627, USS LCI(G)-442 and USS LCI(G)-422, coming into position for a rocket attack on the western Okinawa beaches on 1 April 1945. 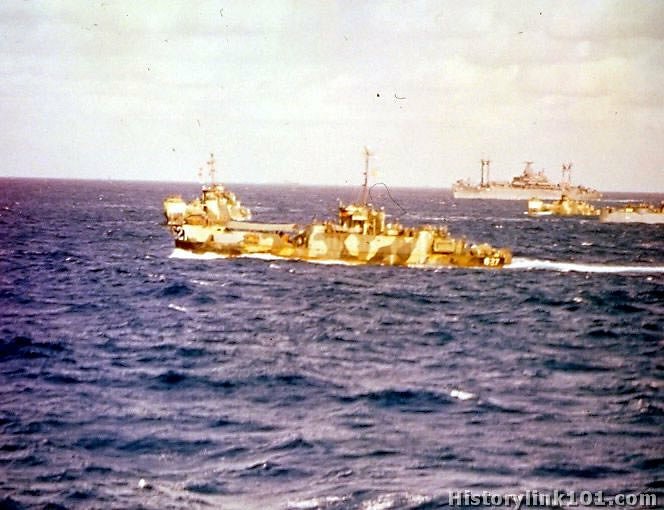 "1 April 1945: CTG 52.17 was aboard USS LC(FF)-627 which acted as guide until the line of departure was reached. CTU 52.17.2 aboard LCI(G)-442 then took command of Task Unit. USS LCI(G)-422 was the second ship in the column following astern of USS LCI(G)-442 and USS LCI(G)-565. This three column ship formation then proceeded to assault the beach firing their 40mm, 20mm and 4.5" rockets. After this initial assault the LVT's headed towards the beach in three waves."